Obscure holidays are phenomenal jumping off points for when you need something to write about. I highly recommend you bookmark the National Day Calendar in your internet browser, as soon as you get a chance. That is, if you haven't already done so. Today's seemingly random and off-kilter day of celebration is National Joe Day, which is about as straightforward as it sounds - the spotlight is on people with the name "Joe," "Jo," "Joseph," "Joey," "Josephine," and whatever other variation you can think of. The moniker comes from the Scottish word "joe," which originally meant "sweetheart." Over the years, the term has evolved to refer to the working-class everyman. As terms like "average Joe," "ordinary Joe," and "Joe the plumber" came into the vernacular, a Joe came to be known as a regular guy. Thus, today is the special day that those regular guys and gals get to be celebrated. I suppose you could also just take it as an excuse to pour yourself a big, ol' cup o' Joe, as well. I mean, it is a gloomy Monday morning too. 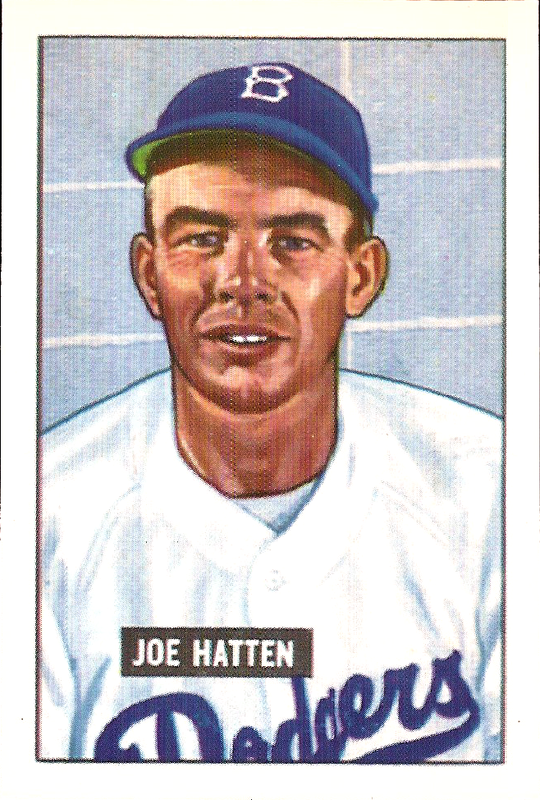 Being that the name and all of it's variants are such common names on this side of the world, it's no wonder that there are so many "Joe's" are scattered throughout the pages of Major League Baseball history. 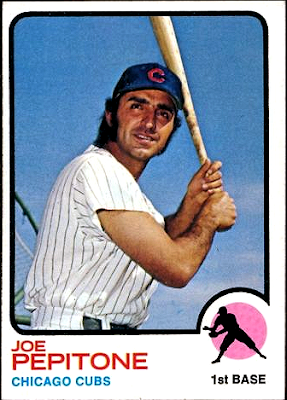 Furthermore, since the Chicago Cubs are basically the oldest team in professional, American sports, they have had their fair share of "Joe's" on their roster, at one time or another. 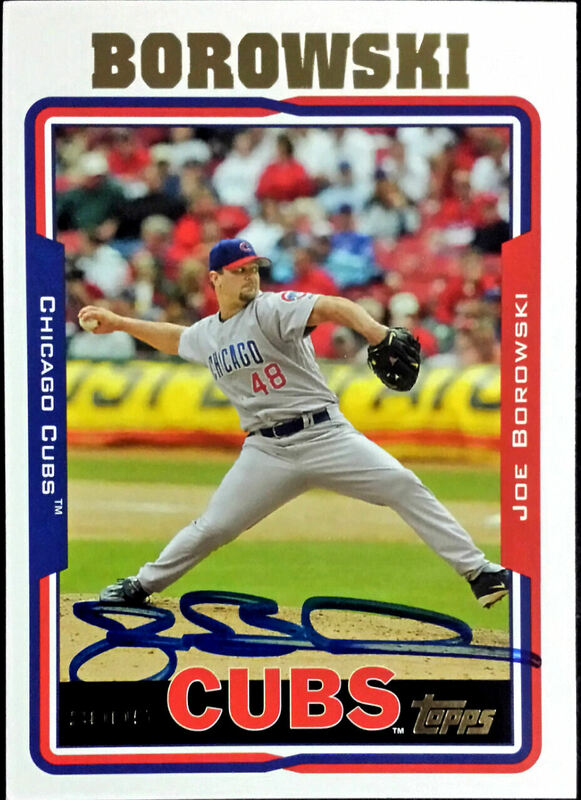 So, in honor of National Joe Day, it's only appropriate that we spotlight some of these "Joe's," who once donned Cubbie blue, currently reside in my CATRC binder, and have yet to be featured on Wrigley Roster Jenga. I'll also notate just why each of these "average Joe's" should be remembered - 'tis the spirit of the day, after all. Why remember him? : He was the prize of the eight-player, blockbuster trade that saw franchise-great Andy Pafko shipped to Brooklyn. Why remember him? 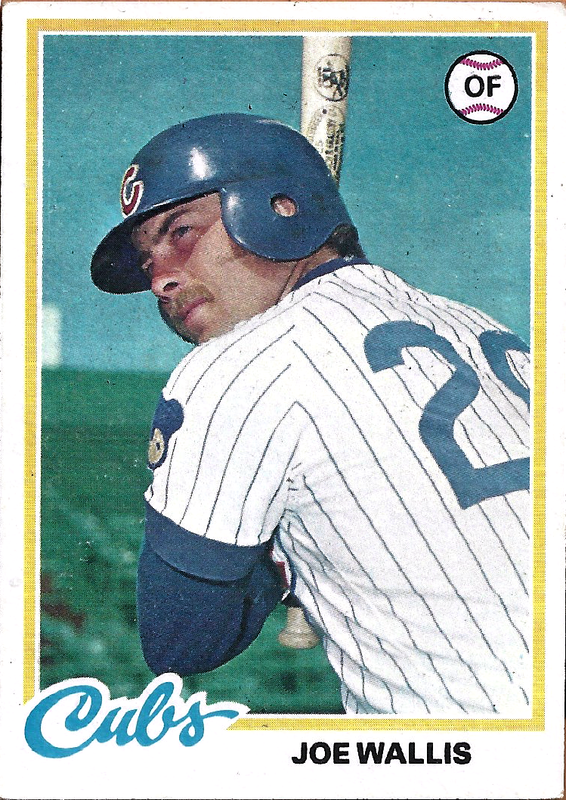 : He had one heckuva awesome nickname during his playing days - "Buy a Vowel." Why remember him? : Joe made his Big League debut as a spot starter on the beloved 1989 "Boys of Zimmer" club. Why remember him? 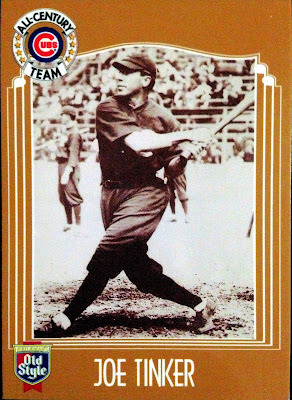 : The outfielder was the first Chicago Cubs player to homer in a night game, which he did on July 1, 1938 at Cincinnati's Crosley Field. Why remember him? 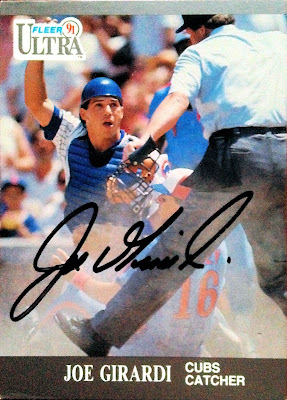 : "Super Joe" was the spring training hero of 2012, taking the Cactus League by storm. 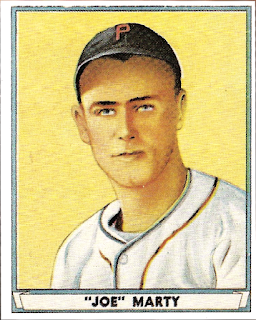 Also whacked a walk-off, 2-run single against his former club, the Cardinals, on April 23. Why remember him? : Unfortunately, the live-armed prospect was forced out of the game after only a few seasons due to an enlarged heart. I guess you can have too much heart in this game. Why remember him? : On June 15, 1978, Wallis was traded twice in one day. First, the Cubs swapped him to the Indians for outfielder Mike Vail. 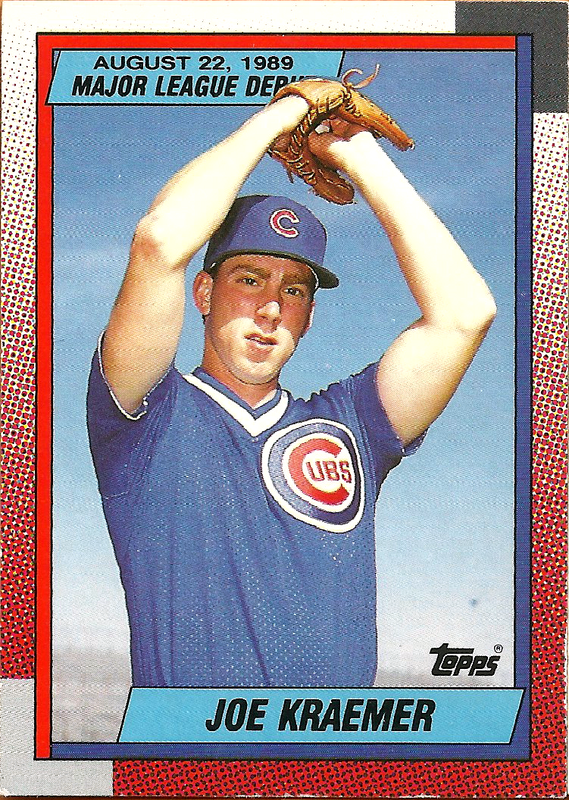 From there, the Indians sent him to the Athletics for Gary Alexander. Not too many notable Joe's on that list, huh? In fact, the Cubs haven't really had many notable men by that name during the entirety of their 147 years playing baseball. 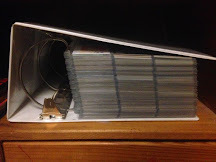 Originally, for the second half of this post, I intended to write up a top ten list of the team's best "Joe's;" but, I was forced to chop that down to five, as I found myself stretching so far that I was afraid I was going to pull a muscle. Why remember him? : His best years were spent with the much-ballyhooed Yankees, but he sure did grow some sweet sideburns when he was traded to the Cubs. 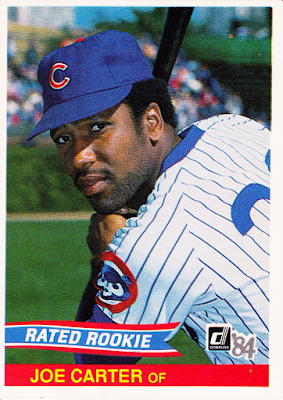 Pep was the initial replacement for Ernie Banks at first base and provided some steady offense for Cubs teams that were constantly on the cusp of contention. Also, he was my mom's favorite player, so there's that. Why remember him? 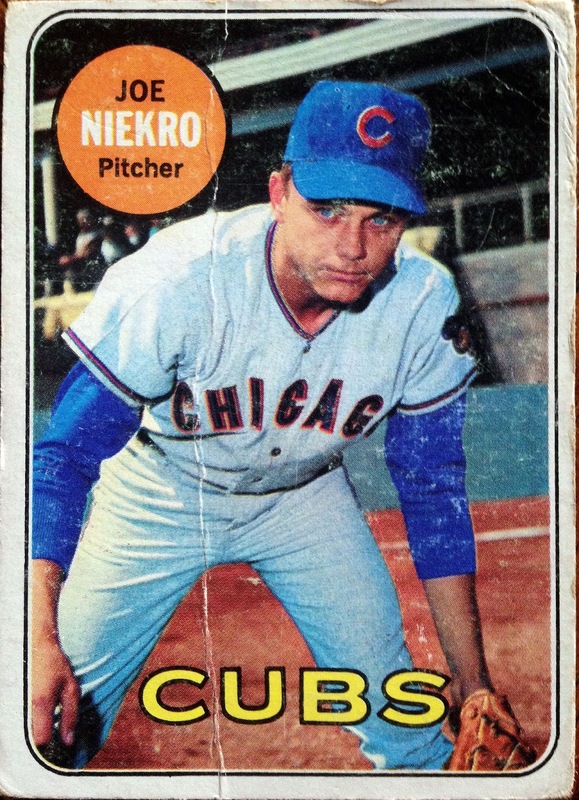 : Though, like Pepitone, he provided the best years of his career elsewhere, the younger Niekro brother was a steady presence on the pitching staff the Cubs in the late-60's, going 24-18 with a 3.83 ERA during his time in the Windy City. Why remember him? 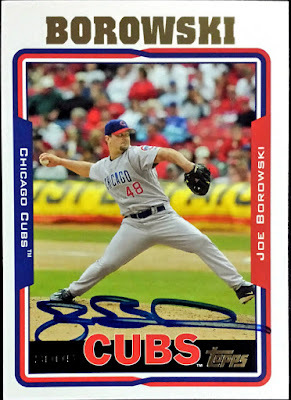 : JoeBo was the surprise closer of the "Why Not Us?" 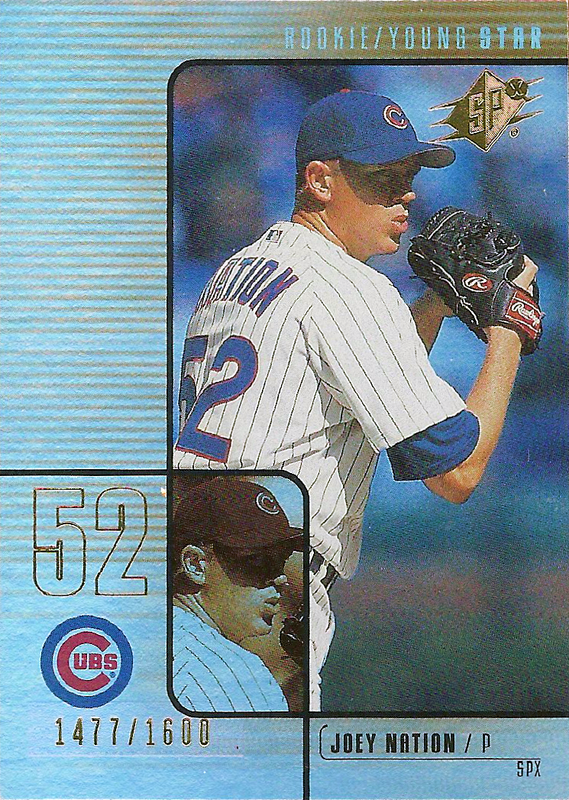 Cubs, which came ever so close to being the team that finally broke the curse. 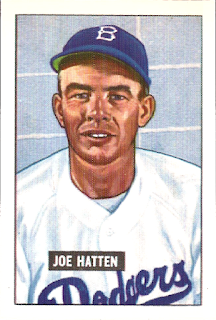 Joe came from obscurity to save 33 games for the club, in a bullpen that was shoddy, at best. Why remember him? : Girardi is an all-time fan-favorite in Chicago. 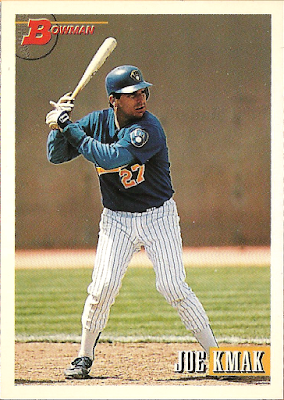 He was a key contributor to the "Boys of Zimmer" in 1989, an All-Star in 2001, and was one of the most respected team captains in franchise history. On the latter note, on June 22, 2002, he was chosen to deliver the stunning news that the day's game was canceled "because of a tragedy in the Cardinal family," that tragedy being the death of Darryl Kile. He may be most associated with the Yankees, thanks to his World Series ring and his long managerial tenure, but he'll always have a spot in the hearts of Chicagoans. Why remember him? : Where to begin? 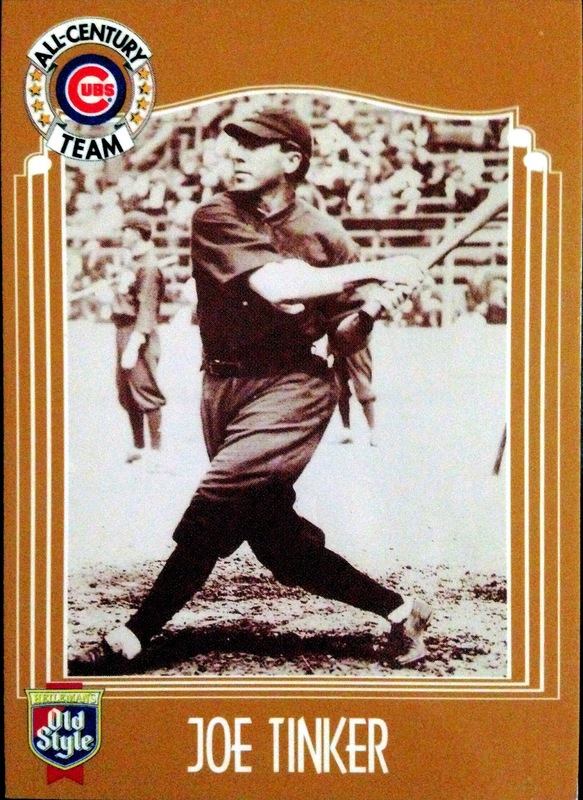 He was the shortstop on one of the most famous infields of all-time, he was an essential contributor to two World Series Championships (1907-08) and four National League pennants. he was name checked in one of the most well-known bits of baseball prose ever put to paper (Tinker to Evers to Chance ring a bell? 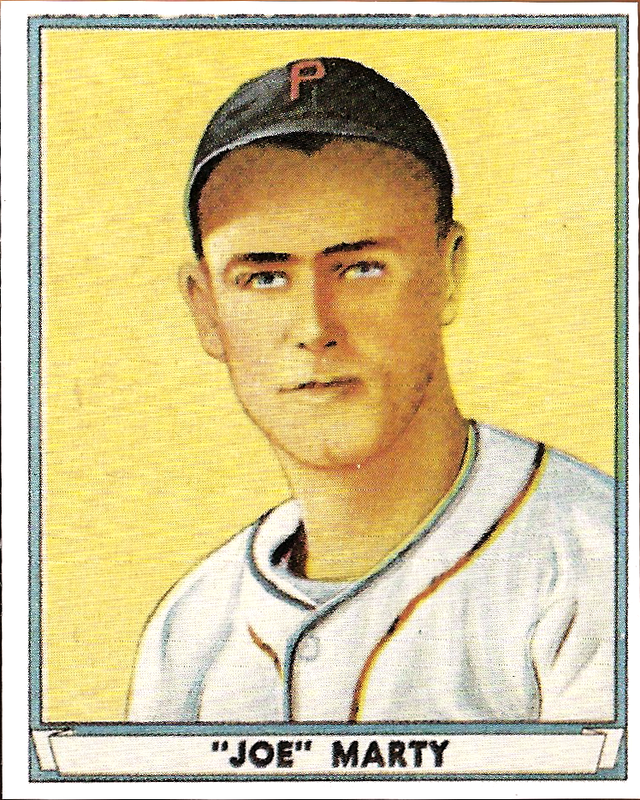 ), and he was elected to the National Baseball Hall of Fame in 1946. Simply put, there was not other way to "tinker" with this ranking, this Joe had to be number one. 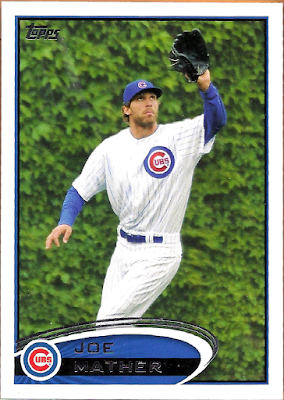 There you have it - a comprehensive examination of the Joe's found scattered throughout the pages of the Cubs' record books. Happy National Joe Day, everybody - celebrate accordingly! In honor of the holiday, I encourage you all to share the name of the greatest Joe, Joseph, Joey, or Jo in the history of their favorite franchise, at least in your opinion and to the best of your memory. Type that name in the comment section below, in honor of Joe's everywhere! In the meantime, I'm going to go scour the internet to find out if there's a National Tony Day scheduled at any time during the year. If not, I'm going to set about finding out how to declare it. We Tony's are pretty cool too! As a Reds fan, two Joe's immediately come to mind. Current 1st baseman Joey Votto and legendary 2nd baseman Joe Morgan. I'm sure there's one or two others that I don't know, but those are a pretty good two. With the Seinfeld .gif, I'm surprised you didn't mention that Joe Pepitone got beaned by Kramer! And pardon my nitpick, but "Tinker to Evers to Chance" is poetry, not prose. So yeah, National Who F*cking Cares Day. That's me 24/7/365. Great list of Joes but the suspense got to me with Elaine. I choked!! !